What is a Stephi LaReine? 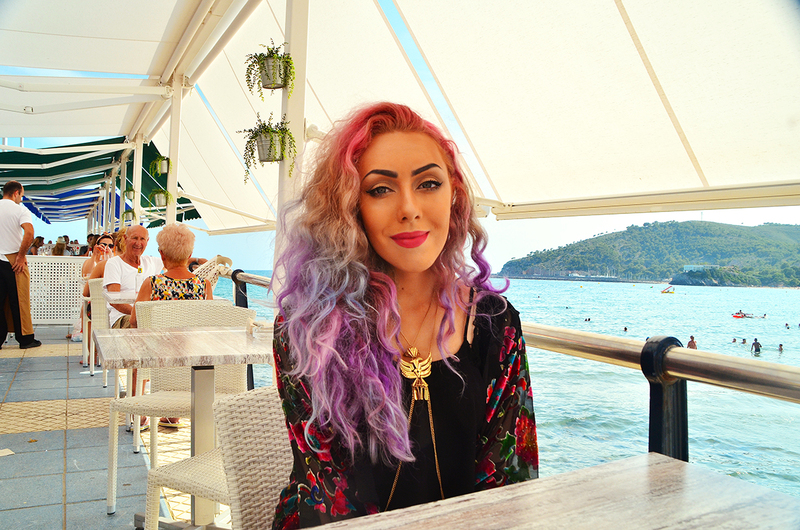 A rainbow haired 23 year old Fashion and Lifestyle Blogger and colourful enthusiast in the North of England with a specialty in fashion portraiture and a weak heart for the feline species, as well as also being a recent 1st Class Graduate in Photography & Graphic Design. Stephi LaReine aims to provide not only an insiders view from the fashion industry from backstage at Fashion Week and style diary but daily views surrounding her global travels, encounters with tastes, textures, sounds and scents. Stephi LaReine gives a voice to anyone who dares to be different and inspire whilst aspiring to be the best a person can be. With many awards presented to Stephi for her efforts within the fashion and beauty industry, she seeks out to primarily make the world more colourful and positive. Her daily adventures can be found at her Twitter, Instagram whilst inspiration is collected on Pinterest, reviews and hauls on Stephi's YouTube Channel, whilst her most private moments on Snapchat (StephiLaReine) and keep subscribed to everything on the blog via Stephi's Bloglovin. "This blogs recognition and establishment within its four years of publication has been remarkable and taken me down a road of experiences I never thought I'd have the privilege of doing, in an incredibly short amount of time and meeting the industries finest!"